The network airs a large amount of educational programming, and provides live coverage of an array of manned missions, including the Space Shuttle and International Space Station (ISS), robotic missions, and international launches. The network completed its conversion from analog to digital transmission in late 2005 following the launch of STS-114, ending a period of dual analog and digital broadcasting, although some cable television systems may still have transmitted in analog prior to the U.S. digital television transition. The satellite link uses the DVB-S system for transmission. 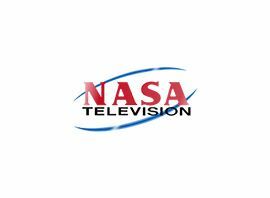 NASA TV carries a variety of regularly scheduled, pre-recorded educational and public relations programming 24 hours a day on its various channels. Programs include NASA Gallery, which features photographs and video from NASA´s history; Video File, which broadcasts b-roll footage for news and media outlets; Education File, which provides special programming for schools; This Week @ NASA, which shows news from NASA centers around the country; and NASA Edge and NASA 360, hosted programs that focus on various projects and activities within NASA. Live ISS coverage and related commentary is aired in hour-long segments throughout the day. The network also provides an array of live programming, such as 24-hour coverage of Space Shuttle missions, ISS events (spacewalks, media interviews, educational broadcasts), press conferences and rocket launches. These often include running commentary by members of the NASA Public Affairs Office who serve as the "voice of Mission Control", including Rob Navias, Nicole Cloutier, Brandi Dean, and formerly, Josh Byerly.